I woke to a sunny morning with calm conditions. A nice spring day. Although it’s still a bit early for shorebirds, with a relatively low tide (coming up by the time I checked), I thought I would take a walk around the park just in case an early shorebird migrant or two was around. I did not find any shorebirds (other than a dozen oystercatchers), but I did see quite a few ducks that I’ve not been seeing, including over 60 Barrow’s Goldeneye (many more than the 20-30 that have been around throughout the winter) and three Northern Pintails. I did find a few open blueberry (Vaccinium ovalifolium) flowers in the park, and also noticed a dandelion blooming in front of one of the Sheldon Jackson Campus buildings. On a related note, Connor noticed a bee flying by later in the day (I’ve not had a good look at one yet, however). Mt. 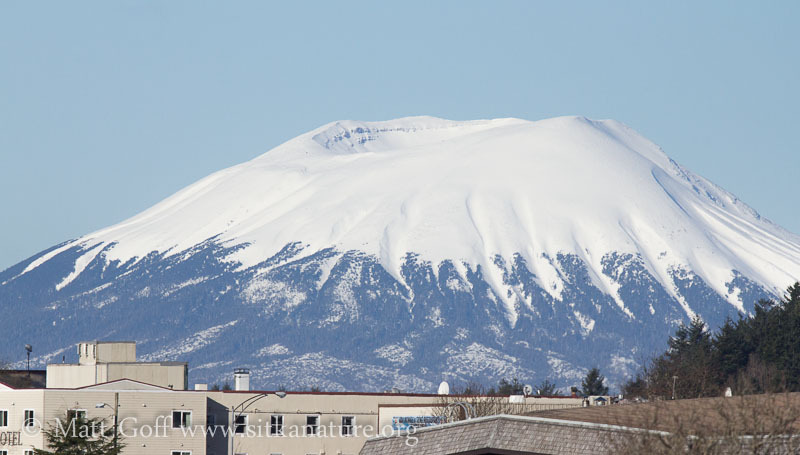 Edgecumbe seems to have a good blanket of snow, but I imagine it will start showing through pretty quickly when the weather warms up a bit more. 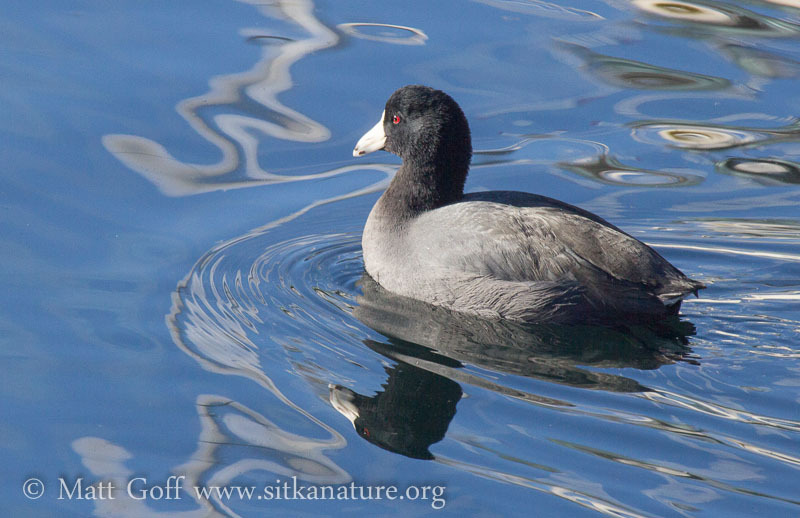 An American Coot continues to hang out in Crescent Harbor – I am not quite sure when it showed up, but I think it’s been there at least a couple of weeks. There are still two at Swan Lake, so I wonder if this one moved over from the Channel, or perhaps came in from somewhere further away. 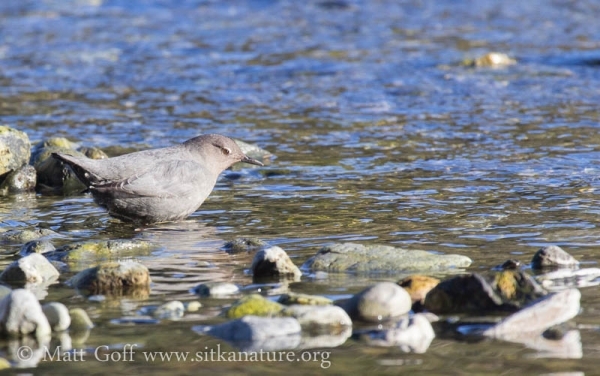 This entry was posted in birds, flora and tagged American Coot, Mt. Edgecumbe. Bookmark the permalink.